Microsoft partnered with Rob to create an online digital campaign promoting workplace productivity using its hardware and software products for business. The concept was to demonstrate connectivity between Rob and his team wherever they are. It features The Mothership (head office), Rob's home in Bristol and Magma Moulding (the Trunki UK production facility in Plymouth). The British Government ran a series of campaigns to promote its new Great Business service, providing support, advice and inspiration for growing your business. 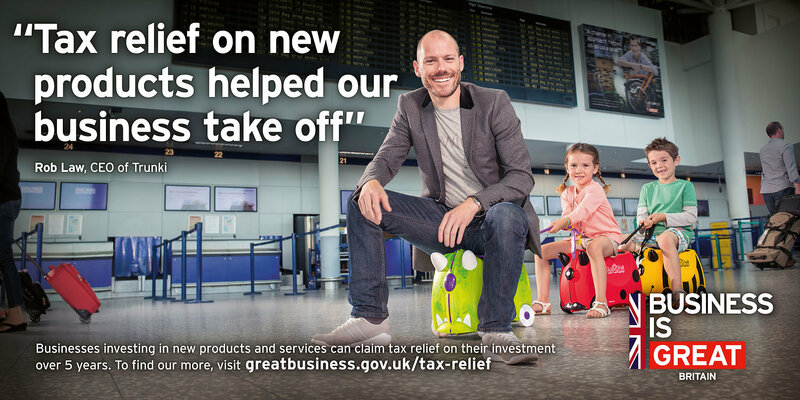 Rob headlined a topic on innovation and how tax relief for R&D helped him expand Trunki. Newspaper adverts, full size billboards and an online video (with 1.7m views) helped raise the profile of the rebranded service. Natwest & RBS commissioned content to share with their business clients who aspire to grow. A marketing masterclass film telling the story of Rob's entrepreneurial journey and picking out marketing lessons from his inspiring story was created for ContentLive. It's proven to be one of the most popular masterclasses. 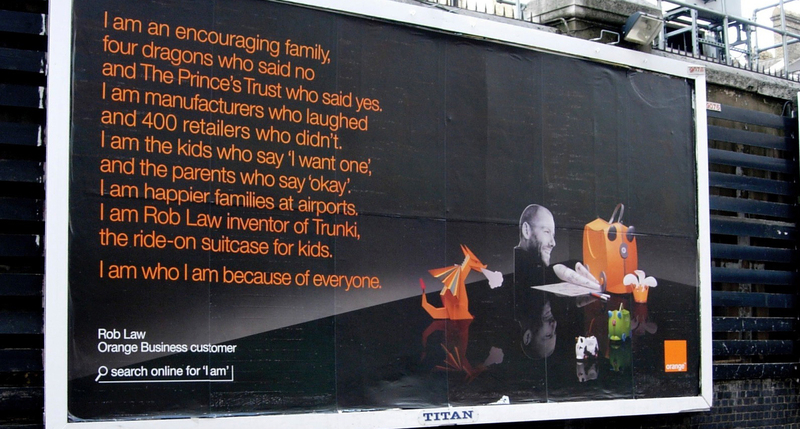 In 2008, Orange mobile rebranded with a £30m marketing campaign "I am" and partnered with Rob as a starring "testimonial" which ran full-page adverts, billboards and a video. Rob targeted their business customers while Mark Beaumont faced the consumer campaign. "We are in the relationships business not the phone business. We want to express everything we do through the relationships we fuel" Justin Billingsley, brand director at Orange.